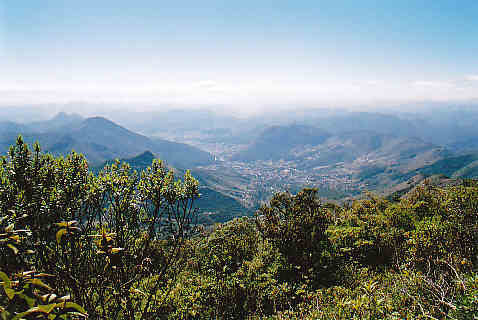 I took these photographs in August 2008 in the area of Nova Friburgo. This city is located in Brazil, in the State of Rio de Janeiro, at approximately 93 miles North East of Rio, close to the Tropic of Capricorn (Southern Hemisphere), at an altitude of 2,775 ft. Thus, the climate is a tropical climate of altitude. I walked on a path which climbs on the sides of a mount of the area, at several dozens of kilometers from Nova Friburgo, looking for Schlumbergera. I was approximately at an altitude of 4,265 ft. when I took this first photo.